Join us for a winter concert of jazz standards and original music. Jason DeCristofaro is an Asheville-based vibraphonist, percussionist, and composer. In case of inclement weather, this program will be held on Saturday, January 26th. 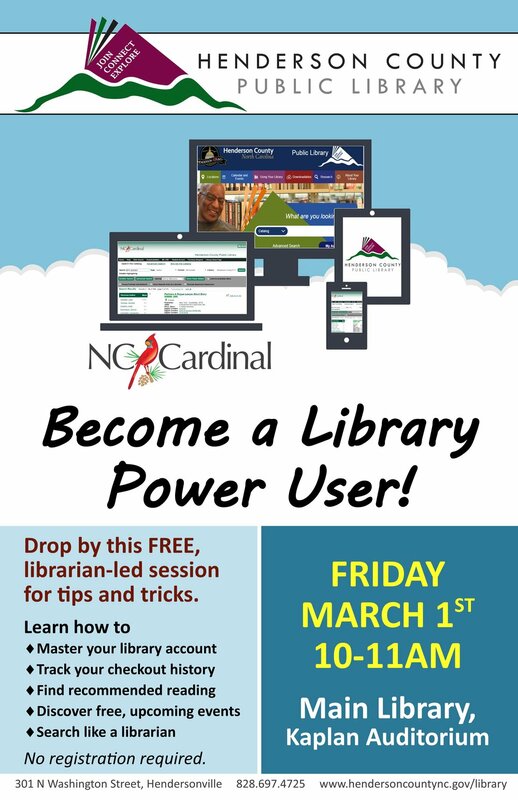 This free program is presented by the Friends of the Library. 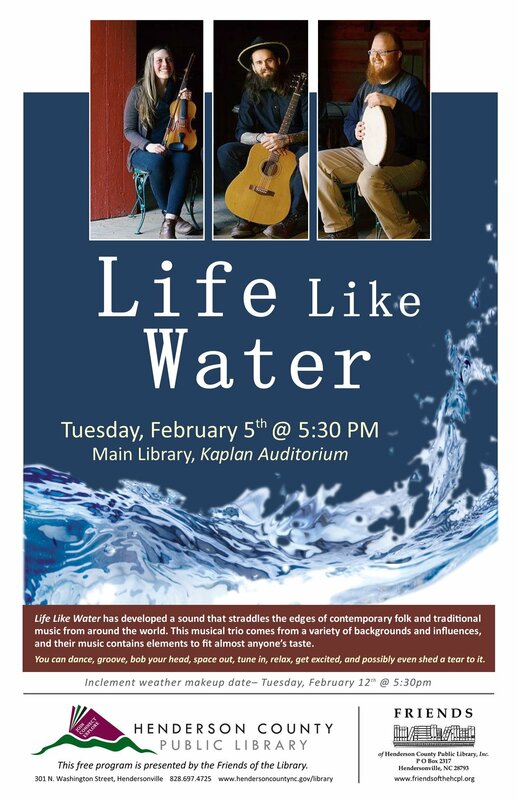 For more information, contact the Main Library at 697-4725. The Blue Ridge Ringers, a regional hand bell ensemble, will present a concert of Christmas music. Due to the popularity of this program, tickets will be issued one hour prior to the performance on a first come first served basis. 1 ticket per person; all family or group members should be present to ensure tickets for admittance. Ticket Distribution begins at 1 PM; Doors open at 1:30 PM. 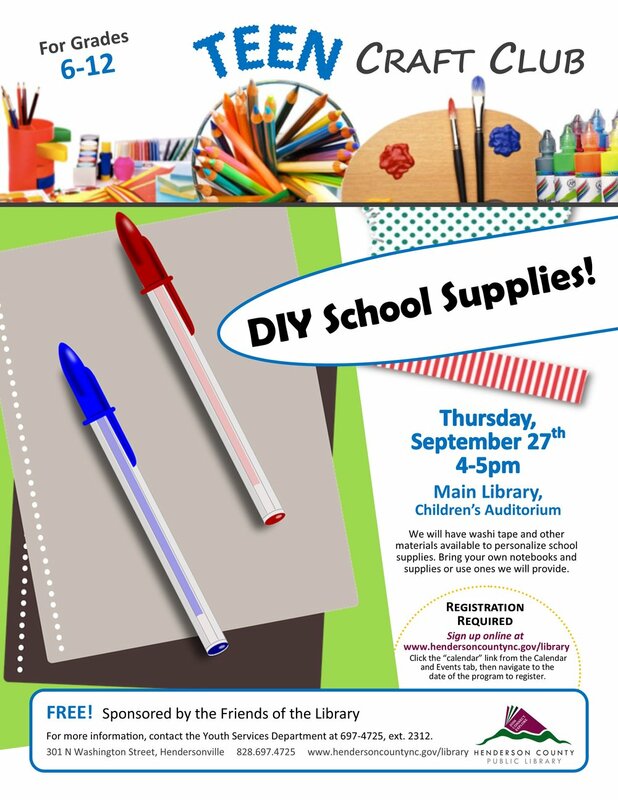 This free program sponsored by the Friends of the Library. Winnie the Pooh ventures into London to turn a middle-aged Christopher Robin's life around with the help of Piglet, Eeyore, and Tigger. Robin is now stuck in an oppressive white collar job that prevents him from spending time with his family. Charlene Spinks, Diane David and Lynn Nichols are the women of Blissing, which is an acapella trio based in Hendersonville. These three women weave their own arrangements into a harmonious thread of music in every song they sing. The result is a sweet, rich sound. Experienced singers who have an ear for good vocal production, blend, and homespun humor, they cover a range of genres, impressing their audiences with the harmonies of well-loved tunes and their own original arrangements. Please contact the Main Library at 697-4725 for more information. Kick off your trick or treating at the library with a green screen photo booth, spooky crafts, and Halloween STEAM! These free activities are geared toward Grades K-5. 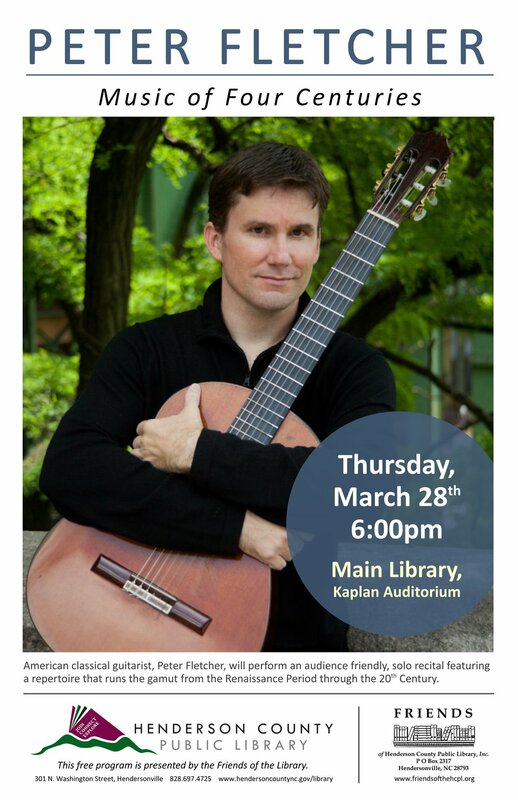 Free and sponsored by the Friends of the Library! 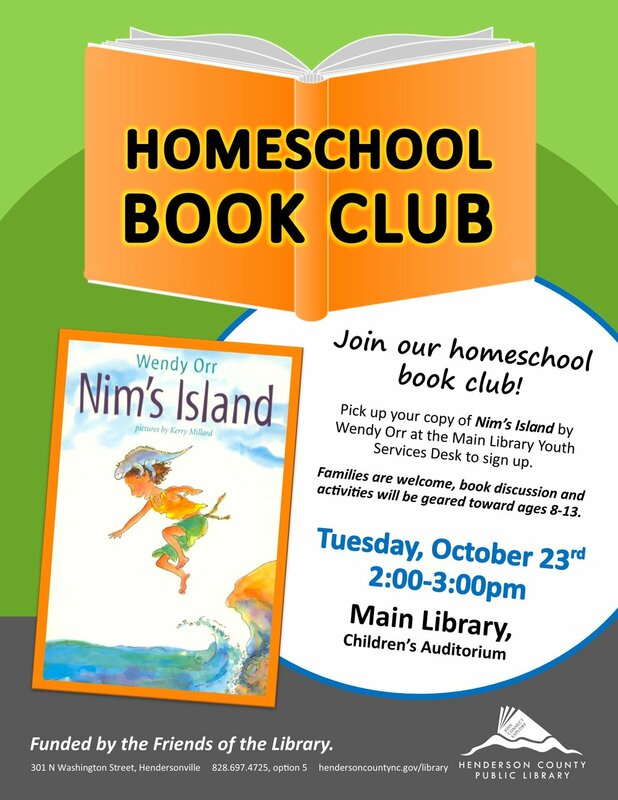 Pick up a copy of Nim's Island by Wendy Orr at the Main Library Youth Services Desk to read for our homeschool book club! Families are welcome, discussion and acitivities will be geared toward ages 8-13. Enjoy a delightful evening with singer-songwriter Brew Davis, an Asheville resident. Brew's music has been described as spicy, sweet, savory, and smooth. His music offers up as many feelings as it does sound. According to Martin Anderson, Music Director and Host, WNCW, Spindale, NC, "I love Brew's focus on telling the many stories of Western North Carolina's history and contemporary issues. 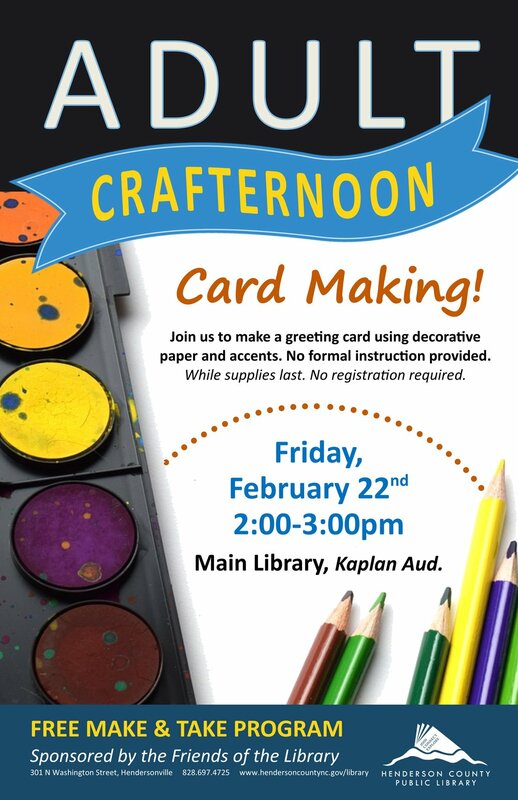 Join us each month for fun maker activities with friends! This month we learn about Robotics with Zaniac Learning Center.